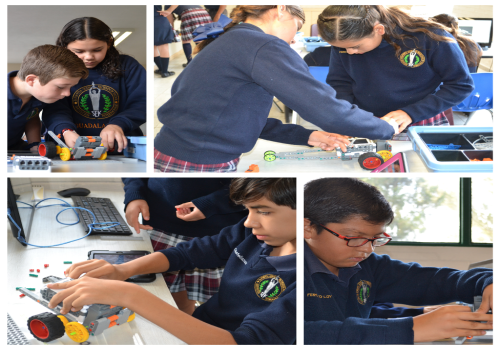 Seventh-grade students initiated their robotics class. During their practices, they face challenges they need to solve. To assemble their robot, they must follow a series of steps and then programming for the robots to follow and meet the required function. Once the students have at their disposal the command and the robot, a new task comes in with an increased difficulty, developing practical skills in math, physics, and technology.